For another year, Wikimedia Spain has organized Wiki Loves Monuments. This year’s edition has gathered 9449 photographs from our country by 274 different participants. Wikimedia Spain would like to thank them for their interest in the contest, and their contribution to cultural heritage and municipalities can diffuse through Wikipedia and other Wikimedia projects. The organization team wanted to reward the photos of both monuments and municipalities that were not phorographed on Wikimedia yet. 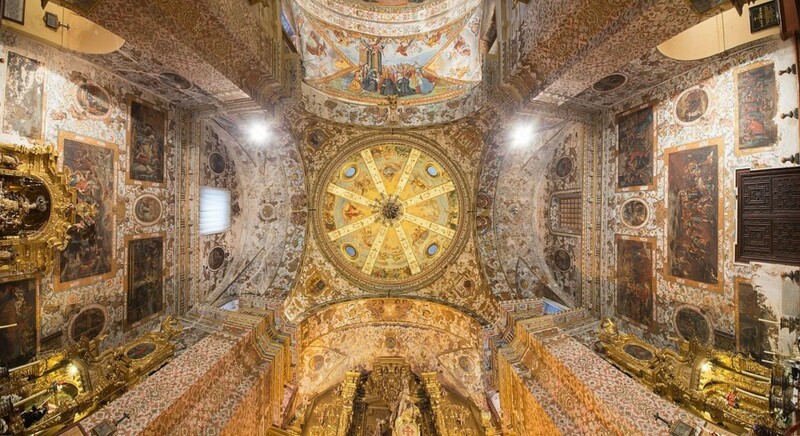 The award for the best image of a monument without picture on Wikimedia Commons has corresponded to an image of the dome of the Church of Our Lady of Remedios, Antequera (Málaga), made by Pedro J Pacheco. Meanwhile, the prize for the best photograph of a municipality without photo has corresponded to an image of the bell gable and church of Saint John the Baptist, in Pelabravo (Salamanca), taken by Miguel Ángel López (Malopez_21). On the other side there were two special categories: a prize for the largest number of monuments without photograph and other for the largest number of municipalities without a picture; in the first case the winner was Rafa Esteve and in the second Miguel Ángel López (Malopez_21). Below you find the 10 best scoring images in our competition. Congratulations everyone!